How amazing do brand new granite countertops look? They offer a unique, yet natural look for your kitchen but are expensive, require frequent maintenance, and can be difficult to repair if they chip or scratch. How can you get that stylish look without the huge expense and hassle of maintenance? You can join the thousands of satisfied Miracle Method customers with Natural Accents® Stone-Look Finish, a solution that provides better longevity, less hassle, and fits a smaller budget. Installing new granite countertops should be seriously considered. They are expensive, require special cabinetry, and there is little room for error when matching the slabs together. Granite countertops naturally have tiny holes which can easily trap bacteria making them unsanitary. Granite must be chemically sealed every 1-2 years. If installing a granite countertop sounds more like a hassle than a convenient kitchen upgrade, there are alternatives. If you could save time, money, and effort, why wouldn’t you? With Miracle Method’s Natural Accents, you can get the professional, sleek look of a granite countertop at a fraction of the cost and without the headache of installation. Our professional, high tech finishes provide the look of a stone-like appearance without the expense or maintenance required for granite or marble. 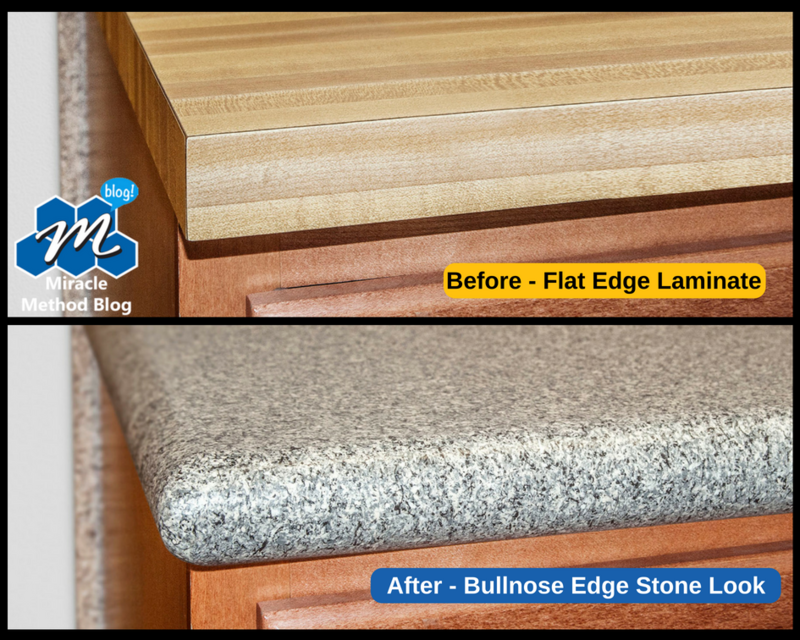 You can even go from a flat edge countertop to a bullnose edge when you hire Miracle Method. Our proven process is so good it is backed by a 5-year warranty. 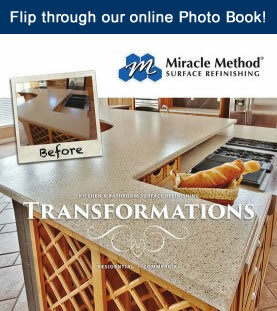 Make Miracle Method® Surface Refinishing your first choice for your next kitchen countertop project. Call (888) 271-7690 to get your free estimate today or find your nearest Miracle Method.